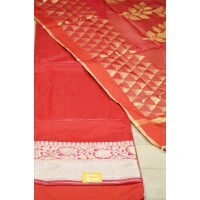 Garima is a collection of handpicked dress materials! 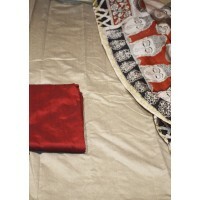 A wide variety of cotton and silk fabrics to choose and buy from. 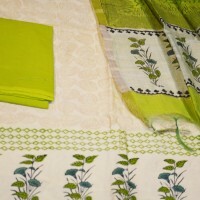 It’s a showcase of spectacular and rich cultural legacy of traditional as well as modern weaves from all over India especially for all the beautiful women out there! 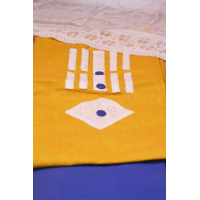 Occur yellow Cotton Top with Chikan Pattern Neckline along with chikan fabric for sleeves.Blue Cotto.. 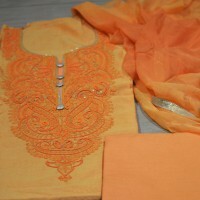 Silk kota top with Heavy Embroidery neckline. (Gota patti work+Bead work+Crystal work)Gadhwal ..
Ash colour Cotton Silk TopMaroon Cotton Silk Salwar (bottom)Buddha Print Kalamkari Dupatta..
Red Maheshwari Top with broad Banarasi BorderRed Cotton Salwar (bottom)Red Maheshwari Jaquard Dupatt..
Orange Maheshwari Top with heavy Embroidery & Bead Work Neckline Orange Cotton Salwar (bott.. 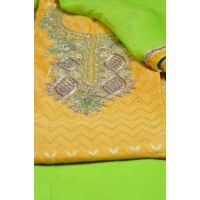 Cream Printed Maheshwari TopGreen Cotton Salwar(bottom)Green Maheshwari Jute Mixed Dupatta..